Stripe is an extremely powerful and easy to use tool for processing payments. 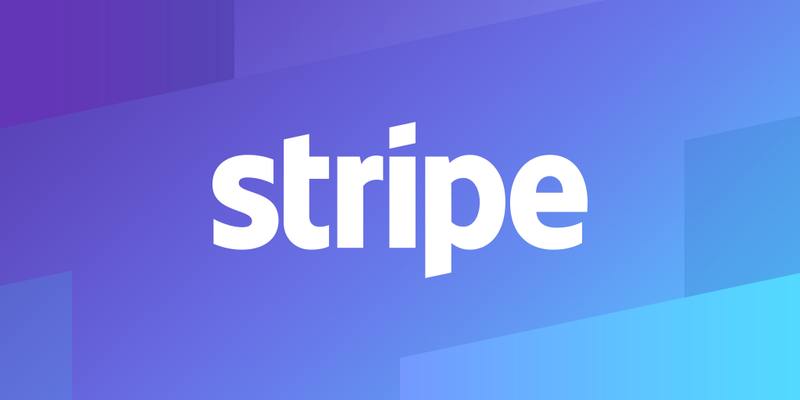 Stripe handles pretty much everything for you; from a simple single payment to subscriptions. We had to implement Stripe for one of our clients not too long ago and it was a breeze. In most cases, clients prefer Stripe because of their pricing plan. Stripe only charges you per successful transaction as only 2.9% of the charge plus 30¢. In this post we will first look a the required API implementation, and how to integrate an iOS app with this API in the next post. Let's start off with the required routes that your apps would be calling. The examples provided will be in Rails, but Stripe provides many libraries and amazing documentation. You can visit their site to find documentation for your language. To get started, add the Stripe gem to your Gemfile; gem stripe. Then run bundle install. Now that you have Stripe installed, create an initializer and add your secret key. Note, Stripe provides a live and a test key. Make sure to use the test in development; it should start with sk_test. We wanted customers to be able to save and reuse their card information, so we opted in to creating customer objects on Stripe. When we create a user, we make an API call to Stripe to also create a customer on their end. We are using interactors here. If you haven't used them, I highly recommend you take a look. You can find it on GitHub at interactor-rails. First thing is to create our user. CreateUser is an Interactor Organizer. Run rails g interactor:organizer create_user create_local_user create_stripe_customer to create this file. When calling CreateUser#call, CreateUser will pass that message to the first interactor in the organize method. Here we can see that CreateLocalUser will be called first, then passed to CreateStripeCustomer. Now lets create our interactors for actually creating the user. You can run rails g interactor create_local_user to create this file. CreateLocalUser#rollback will be called if our next interactor in the organizer fails. If it does, we want to remove our user. Our next interactor is for creating the customer on Stripe. You can run rails g interactor create_stripe_customer to create this file. CreateStripeCustomer#new_customer will make the API call to Stripe to make the customer and returns the customer object. If it fails, we call fail! which will allow the previous interactor, in this case CreateLocalUser to rollback its changes. The same thing happens in CreateStripeCustomer#save_customer_id if we couldn't update the user with the customer id. Now that our user has a customer associated with it, we can create the required routes for that the mobile apps will need. These routes will interact directly with the STPBackendAPIAdapter protocol on iOS that we'll show you in part 2. The app will need to fetch the customer object from Stripe. This is a pretty simple route. In your UsersController, add a customer method. User#customer_info should return the Customer object from Stripe. The next route to implement allows a customer to add a card or "source". This can be in the form of a debit/credit card or a card token. A token is a unique string that represents a card. Stripe provides a way to generate tokens on the client. You can read more about creating a token in part 2. We only accept tokens of a card and not actual card information to stay PCI compliant. In your UsersController, add a customer_sources method. The next route to implement allows the app to set the default source for the customer. Now that we have all the routes to manage a customer, we can finally start processing payments! Now, I've seen a few people handle this incorrectly. You do NOT want to accept a price from the app. The server should define the price of whatever it is the user is purchasing. This makes the purchase much more secure for you. We start by creating a Product model. This will define the thing to purchase as well as its price. Here is the schema for our Product. You can see that our schema is fairly simple. A Product should have a name and how much it costs (in cents), i.e a Product with a cost of 1000 will charge the customer $10 this Product. Now we can create two routes, one to fetch the Product and one to purchase. Then in our ProductsController, we can create those methods. The ProductsController#purchase will be called when a user wants to make a purchase. Again, we are using interactors (PurchaseProduct) to cleanly handle the addition of credits to the users account and processing the payment. Now we can attempt to charge the customer. Stripe#charge can raise many exceptions that you should obviously handle. You can find the possible errors in Stripe's documentation. And we're done! We can now create a customer, manage their cards and process payments with only a few lines of code. Testing these routes are also simple. Stripe provides test sources for you to use. They even provide sources that will return specific responses and errors. You can find these cards in the Stripe documentation. Look for part 2 which will go over how to take advantage of these routes in an iOS app. Need an app that would require Stripe or have a question? Fill out our Contact form or give us a call at 321-316-4724. We would love to chat.